Our client designs and manufactures computer peripherals, communications equipment, and similar electronic products. As a global manufacturer of computer peripherals and communications equipment, the company has to track various aspects of its manufacturing processes and supply chain, including power, humidity, temperature, HVAC, pressure and other operational parameters. 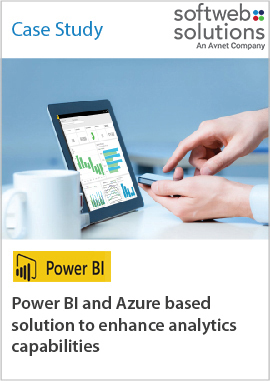 We helped our client expand the capacity of company’s internal datacenters by proposing a cloud based Azure infrastructure integrated with Microsoft Power BI. The solution enables its staff to turn the data processing efforts into analytics and reports that provide real-time insights into the business.